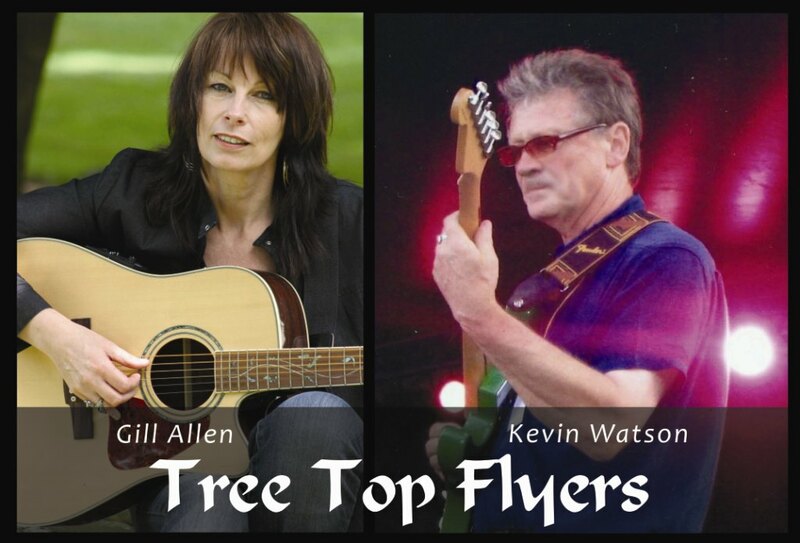 Treetop Flyers are a musical duo made up of Kevin Watson on guitar, bass, banjo, harmonica and vocals, and Gill Allen on acoustic guitar and vocals. Based in the beautiful Horowhenua region with a varied repertoire of both covers and originals, these two musicians bring a magical blend of stirring guitar work and memorable vocals in a variety of music styles from ballads to blues. Kevin Watson – has been a session musician in Wellington from the 60’s through to the 90’s and has played on numerous recordings, including radio and TV productions. Kevin has performed with an impressive list of top musicians including: the NZSO, Dame Kiri Te Kanawa, Midge Marsden, Rodger Fox, Malcolm McNeill, and Martin Winch. Kevin has performed at a number of jazz festivals including Tauranga, Wellington and Waiheke Island. Picture This’ is the first recorded song from my new album – Crystal in the Breeze. ‘Picture This’ was recorded at Tsunami Studios in Levin, New Zealand. Vocals & backing guitar – Gill Allen. Acoustic lead guitar and bass – Kevin Watson. ‘Do You Still Want Me’ is a laid back country song with some beautiful guitar work by Kevin Watson. Arrangement and melody by Gill Allen, words by John Timmer-Arends. The link below will take you to the Soundcloud website on a new window.